(67) Photos Printable Brochure Apply For Credit Schedule A Test Drive Text Us About This Vehicle! Clean CARFAX. 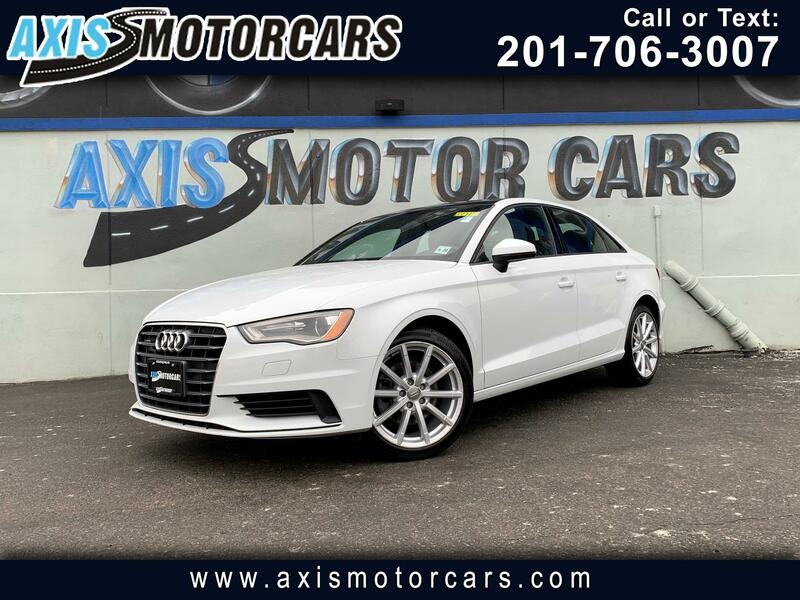 Glacier White Metallic 2015 Audi A3 2.0T Premium Plus quattro quattro Dual Clutch 6-Speed Automatic 2.0L 4-Cylinder TFSI quattro, Titanium Gray Leather. Axis Auto Group and Axis Motorcars have one of the largest selections of quality pre-owned vehicles for you to choose from. Whether you are just looking or have found your perfect vehicle, we are here to assist you. Our experienced sales staff will assist you with your purchase and we provide very competitive financing terms for people with all credit types. Give us a call if you have questions or better yet, come and see for yourself our large inventory of quality pre-owned vehicles. Recent Arrival! Odometer is 21170 miles below market average! With our award winning finance department and professional staff we can have you driving today. Due to the constant change in nature of the auto retail environment, any agreements made through the website are temporary and non-binding on Axis Group Biz LLC. It is this sites intent and policy to be in good faith compliance with state laws regulating automotive advertising. Prices do not include additional fees and costs of closing, including government fees or other fees. All prices, specifications and availability are subject to change without notice. Amount financed is typically based on $2995 down, (cash or vehicle trade-in) and 750+ credit score. Always check with a salesperson for accuracy of information. Message: Thought you might be interested in this 2015 Audi A3.